RPT stands for Registered Piano Technician. I can testify that it's not a designation that is easy to attain. When you search for a good piano technician, you are searching a trade that is unregulated. That means that Joe Schmoe can make a snazzy website and claim to be a Piano 'Tooner' as soon as he figures out how to hold the tuning hammer he bought off Amazon. And with modern tuning apps so readily available, how hard can it be, right? Wrong. Obviously. I became a Registered Piano Technician in October 2014. At that time I had worked full-time as a piano technician for over ten years! Yet even with more than 10,000 pianos under my belt, it was the hardest test I've ever taken! In fact, it was easier to complete the requirements to become a Licensed Marriage and Family Therapist (which I was) than it was to become an RPT (whether that also says something unsavory about requirements for therapists is the topic for another blog). When you trust your piano to an RPT you are trusting it to a proven professional who has met the highest entry-level standards in the industry. Are there good technicians out there who've never completed the RPT exams? Sure. I know a few myself. I also know a number of them that routinely do shoddy, unprofessional work. Just because someone advertises they've been in business for decades, doesn't mean they are any good. They could have been doing bad work the whole time and never had a professional organization against which to compare themselves. Using an unregistered tuner may seem like it'll save money, but chances are it's not worth the risk. All tuners are not alike. An RPT is a professional. Always, always hire professionals. Over the years, I've developed a philosophy for first appointments. It's more than just showing up, twisting the tuning pins and picking up a check. I like to approach first appointments with the piano (and it's owners) the same way good doctors approach new patients. They don't jump right in and start prescribing medications. They take a history first. They ask questions. They examine. Good technicians, in my opinion, should do the same things. Don't just open the lid and start tuning. Slow down. 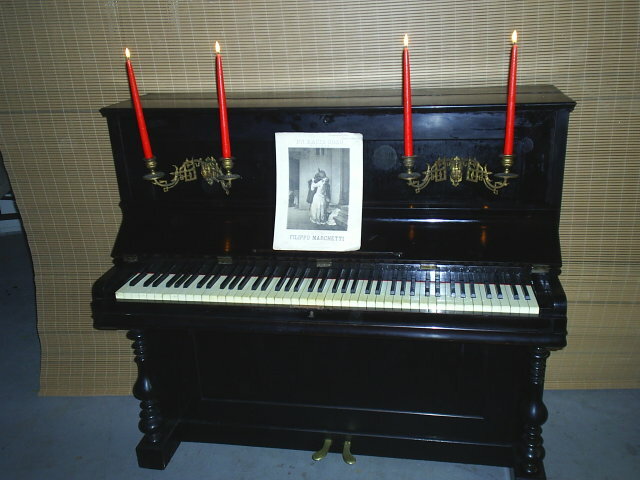 Find out the history of the piano. Where has it been? Who owned it? How was it used? Find out how the customer feels about the condition of the piano. How would they like to use the piano when we're finished with our work? Will it be used for little Johnny to learn Chopsticks or is it being made ready for a returning college student to practice? With these, and a few more questions, one can begin to formulate a plan for bringing an old piano back into service, or improving the quality of a new one. 1. Get a referral from a local piano store. Piano stores usually have a few local movers that have good reputations in their rolodex. local piano stores in the area and ask them who they use to deliver their pianos. But don't ask the piano store to set up the move for you. Some get a piece of the action for the referral and jack up the price accordingly. 2. When you talk to the mover, ask them what kind of equipment they have for moving pianos. They should immediately qualify your question by asking if the piano is a grand or an upright. If it's a grand piano, they should say that they have a SKIDBOARD. If they do, ask them "What size is it?" 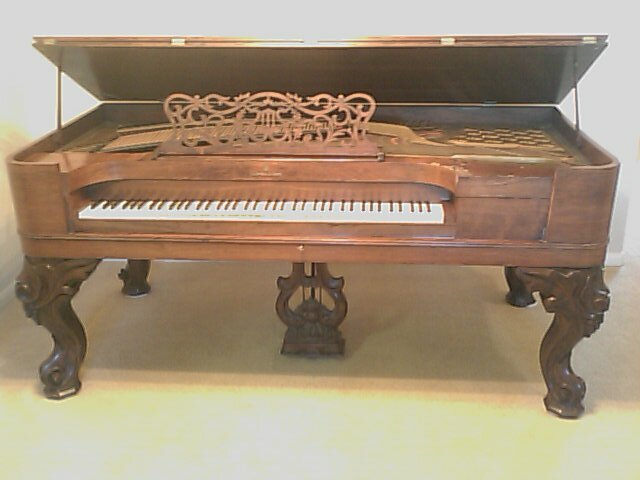 as skidboards come in 6,7, and 8 foot sizes, each according to the length of the piano. 3. Pick a mover that regularly moves pianos and knows how to wrap them up correctly. And by all means, take a short video of the piano before they pick it up as an insurance policy against any claims you may need to make if they damage the piano in transit. Hi! My name is Ron Bergeron. I'm a Registered Piano Technician (RPT) and I love pianos! I see and hear lots of stuff everyday that's just a little too casual or unusual to post on my website, and here's a great place to share them. I'd love to hear your comments, questions, or angry exhortations! Welcome!